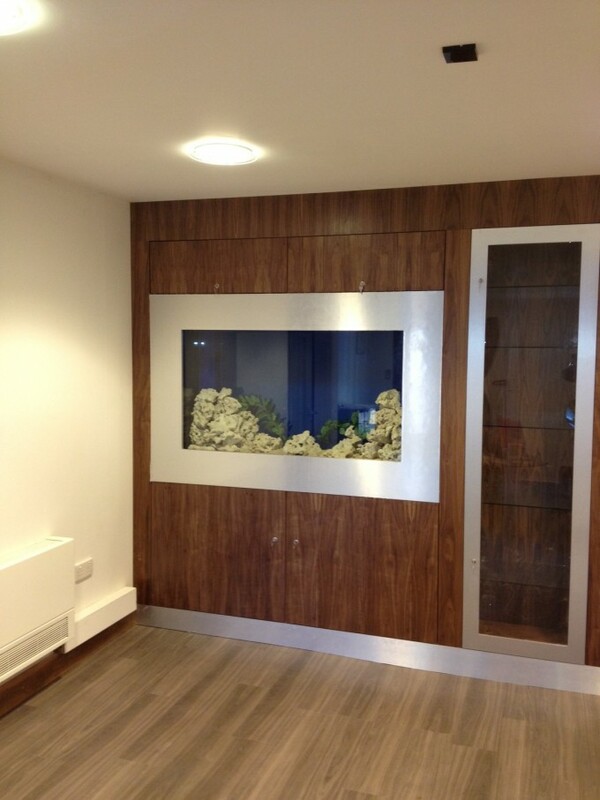 This Hospital aquarium was installed in the reception of a private hospital in Gloucestershire. We have installed a number of designer aquariums for the same client in various hospitals across the UK varying in size from 250 to 2500 litres. The aquarium was installed on a plinth and the joinery was added later. This photograph is of the aquarium on the day of set up, prior to water being added. The aquarium filters, heaters and ultraviolet steriliser are located beneath it and are accessible through the cupboards. Due to its location we used extra tough glass for the front panel.